Bernie Brenner, CEO of Rollick, takes the front seat in this weeks RVDailyReport podcast to discuss the value proposition of Rollick and how the organization sets out to achieve an overhaul of how the recreation industry currently connects dealers, OEMs and consumers.Through software and technology, Rollick aims to enhance the relationship between dealers, OEMs and consumers and to make the purchase experience as seamless as possible. 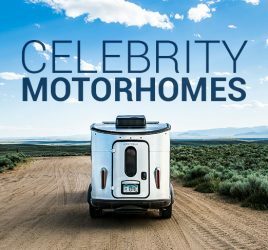 In this podcast, Bernie discusses why the RV industry is farther behind the automotive industry, and how that has caused a longer purchase cycle and a sense of friction between OEM, dealers and consumers. Bernie also discusses the advantages of data and how data can be used to create an above average customer experience. Rollick helps generate more customers and increases the quality of prospects by partnering with brands that have a high-trust perception among consumers and then leveraging those relationships through a unique branding strategy. 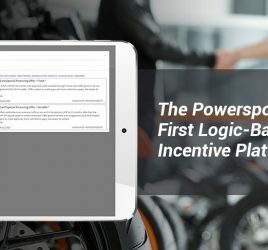 Bernie explains how that type of strategy can help dealers focus more attention on products rather than price and establish a higher level of trust early in the relationship. 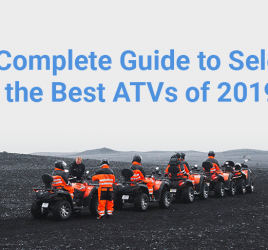 He also offers advice on what dealers can do this year that will have a significant impact on their businesses – especially as it pertains to ways dealers are spending money to reach prospects. 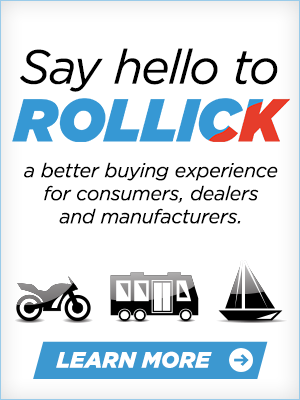 Rollick can help RV dealers shorten that buying cycle and ensure more success in the process.